You can learn about morality from holy scripture, religious traditions, great philosophers, or a lifetime of varied experience. But you can also learn from implausible sources like popular movies. This happened to me. I learned something profound – a genuine intellectual revelation – from what is now one of my favorite movies. Or rather: this movie put together for me many themes I had read in the past but had not entirely framed up in my mind. Fantasy action flicks set in the Middle ages rarely feature simple acts of peaceful exchange. The movie is Dracula Untold (2014). It delighted me from the first frame to the last. It is a tremendously entertaining movie that serves as a kind of prequel to the story everyone knows. Bram Stoker’s 1897 novel – which was written as a warning to the virtue of England’s women but implausibly became the must-read salacious book of the century – only hints at Dracula’s origins. This movie provides us with a surprising background, portraying Dracula as a highly sympathetic figure, someone who willingly takes on the features of a monster in order to save his wife and child. The moral decisions he makes seem to be forced upon him by circumstance. The entire time I was watching the wretched scenes from medieval Transylvania, the same thought kept coming back to me: thank goodness for commerce. Why? It’s not often noticed, but these fantasy action flicks set in the Middle ages rarely if ever feature simple acts of peaceful exchange. Expropriation, conquest, and looting are the way people get ahead. It’s the ultimate zero-sum world. You steal or be stolen from; you submit to being ruled or you rule; you kill or are killed. Is morality even possible in such a world – a morality for living people? That’s an interesting question. In war, there is no exchange and mutual benefit. But in this movie, there is a bit of a reversal. Transylvania is the Christianized, civilized, and familiar world and the role of the “other” is played by the Muslim Turks as led by a cruel Sultan, who shows up to ruin an Easter feast by demanding 1,000 children, including Vlad’s own son, to be raised as fighters for his army. Prince Vlad (“The Impaler”) resists at first but comes to believe that peace is preferred to war and decides to give up his son. But just before the son is handed over, Vlad has a change of mind. He easily kills the five Turks who had come for the son, knowing full well that this would start a full-scale war. Vlad has no army at his disposal, so he goes looking for power to defeat the army – all in the interest of saving his family and people. He meets up with a monster in a cave who makes a deal with him. Vlad should drink his blood to gain demon-like strength, and, if he can refrain from drinking blood again for three days, he will return to normal. This seems like a good deal. Vlad defeats a 10,000-man army alone, thanks to his new powers, and successfully resists his burning desire to drink blood. He is briefly heralded as a wonderful hero, but when suspicion grows about his amazing powers, the mobs turn on him. He is destined to be persecuted, regardless of his contribution to keeping others safe. When a second wave of soldiers arrives, ten times the number of before, the battle against temptation to drink becomes more difficult. His wife is targeted and he makes a choice that will determine his eternal destiny. Under any conditions of extreme scarcity of material provision, we make choices that today would horrify us. It is fitting that such impossible moral choices – lose your wife and son or become a monster through selling your soul – come about in wartime. In war, there is no exchange and mutual benefit. The rule is to destroy or be destroyed. It means taking life or giving up your own. How can you truly aspire to goodness under these conditions? There are no good choices. It is because of this problem that soldiers experience what is called PTSD, which is really the soul-wrenching guilt that comes from having made a terrible choice between two evils. Vlad accepted the deal that he would drink the blood of the old monster in order to acquire the necessary power to defeat those who were threatening his family and people. He thought he could maintain discipline and hold out on drinking blood again. But the same moral dilemma presented itself a second time, just as the time was running out. He had to be all in on the monster thing or watch everything he loved be destroyed. It’s all a metaphor but it speaks to a truth. Under any conditions of extreme scarcity of material provision, we make choices that today would horrify us. Notice how what we call morality so quickly collapses under conditions of famine, war, or extreme deprivation following a natural disaster. Lifeboat scenarios point to a similar reality. For the most part, for us today, these remain mental experiments. Fortunately, humankind discovered a better way to deal with conflict over resources. People discovered trade and the idea of ownership. Once it became clear that people could benefit more from trading rather than looting and killing, history saw life get immensely better. Lives lengthened. Incomes for everyone rose. Medicine improved. More people could devote themselves to leisure, art, and scholarship rather than preparing for and fearing war. You can develop a moral system for yourself, but if you live in a world that makes it impossible to practice what you think you believe, can you really hold onto it? What are the moral implications of such a revolution? They are enormous. No longer was daily life defined by the seemingly lesser of two evils. It came to be defined by the idea of mutual benefit and the principle of association. Not even tribal and religious differences needed to be a source of conflict. Instead, we could all cooperate and find dignity in the very idea of life itself. We could come to respect and appreciate each other. 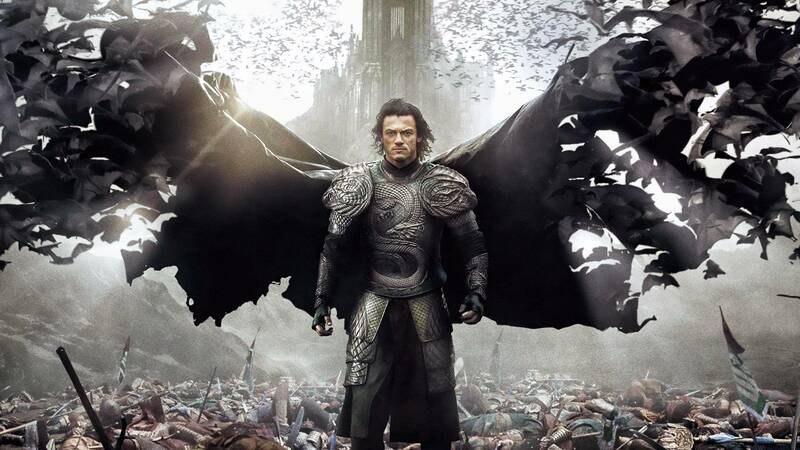 The absolute beauty of a movie like Dracula Untold is that it gives us a glimpse of the horror, desperation, and ubiquitous immorality of non-commercial society. Commerce is the thing that connects us. When it is absent – think of war or think of its low-grade form in political life – the result is to pit one person against another in a zero-sum world in which no one wins except at another’s expense. It’s worth watching just to have a chance to think about that. What we think of as realizable morality these days is partially or even largely a product of the commercial life we’ve come to love and appreciate as normal. You can develop a moral system for yourself, but if you live in a world that makes it impossible to practice what you think you believe, can you really hold onto it? Is your system really sustainable? Or does it become a delightful abstraction that ends up fading away like an impossible dream? Commerce brought us that essential thing, the ability to get what we need for ourselves and also live in peace with our neighbors. Morality must be widely operational to become part of the fabric of our lives. If stealing and killing are the way to get by, what chance is there that a rule against stealing and killing can become a cultural-wide expectation? It is only what is truly practicable that can become an embedded part of the moral structure of society. Commerce and capitalism brought us that essential thing, the ability to get what we need for ourselves while also living in peace with our neighbors. It was this change that ennobled our moral sense against using violence against others. This is why understanding the foundations of economic life is so important. The more we politicize life, the less authentic human connection we have with each other and the less chance for genuine ethical behavior there is in this world.